In a well-written and provocative article, Chris Berger argues that the liberal arts are suffering from a serious identity crisis and that apologists who champion them are missing the point. We must therefore, as Berger correctly points out, take a deeper look at what liberal arts and education mean. However, Berger’s argument that the arts’ principal goal is to cultivate the soul also follows an instrumental logic, and again misses the point of what the liberal arts are, and what their purpose is. In this article I propose to further discuss the state of liberal arts and higher education, offering my own proposal(s) for meaningful reforms. We must first agree on what the “liberal arts” are. Berger explains that they are a “branch” of education, but this is only partially true and clouds our understanding of them in history, since societies perceive and construct educational systems differently throughout time. The Greek model, which stressed civic virtue, also existed alongside geometry (which Plato was particularly fond of) and mathematics; the arts and sciences were not “branches” of education, they were education. This model reigned roughly until the Enlightenment, when a relentless preoccupation with compartmentalizing forms of knowledge began to displace the previous epistemological unity which the Greeks favoured. In the nineteenth century, the ascendency of Darwinian theory and the creation of “social science” disciplines marked the end of the marriage of arts and sciences (to put it into contemporary terms) as disciplines became increasingly specialized and fractured. Only in more recent times have we begun to understand arts as inherently distinct from the sciences. Whether or not this is a problem or represents some sort of “crisis” for liberal arts is another matter entirely. It is becoming increasingly clear that our current strategies for defending our vocations and forms of knowledge are not successful. Indeed, apologists for the liberal arts ought not appeal to nostalgia, as Berger does, since the Greek model only belonged to an elite and would continue to do so until the Enlightenment, when ideas of citizenship became increasingly universal and men of letters began to appear in groups other than the clergy and political elites. Today’s universities, with their ever-expanding armies of undergraduate, graduate, and post-doctoral students in all disciplines, are in fact the exact opposite of the Greek ideal. Indeed, a liberal arts education is now a popular affair; more than ever, people are being introduced to our common heritage of ideas, great thinkers, politicians, and events. But even this optimistic understanding of the liberal arts as “liberating” is only partial. The liberal arts are often looked upon positively by apologists who are forgetting a more frightening, and indeed disturbing truth: that throughout history, great thinkers trained in the liberal arts have been complicit in humanity’s darkest moments and events. To take an example, twentieth-century Europe, the (sometimes still) so-called centre of humanistic and enlightened reflection at the time, barbarically smashed itself to pieces during its first half-century with the help of a great deal of highly-educated men and women. The liberal arts bear great responsibility for the tragedies of Europe’s twentieth century. This grim observation is simply to point out that we cannot view the liberal arts nostalgically, or as meaning the pursuit of “justice” as Berger argues. The darker reality of the liberal arts means that justice cannot constitute its unifying principle; there is no “golden age” when the arts were not captive to human desires, temptations, and flaws. But its ambivalence offers us a clue as to our predicament, since the liberal arts seems to not only signify thinking about humanity, but being human and participating fully in all of our successes and failures. On what grounds, then, can the liberal arts be defended? Widely defined, the liberal arts – a body of different humanistic forms of knowledge – cannot be separated from their function; in other words, what the liberal arts are is also what they do. More specifically, they ask questions. The act of learning necessarily turns on the asking of questions and the confrontation of our own ignorance; knowledge acquired, in turn, provokes more questions. We must, then, see the liberal arts as centred around the questioning of society, humanity, reality, history – anything and everything that is human and that humanity interacts with. This is not an end in itself but rather a process. 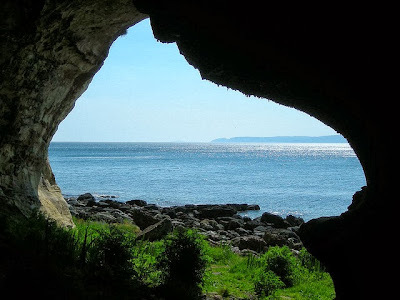 To take an analogy from Plato as Berger has done, Plato’s cave not only signifies a destination or end goal (the leaving behind of ignorance) but also the process of searching for light and truth, whatever that may be. The liberal arts have always asked questions and sought answers, and will continue to do so because the act of questioning is universally human. Here we can find common ground for a robust defense of our function in universities and in societies. I do not mean that questioning and thinking in the liberal arts refers uniquely to deconstructing and “understanding” our reality; quite the opposite. We need to reach beyond truth towards what is beautiful, human, imperfect, even contradictory. Nietzsche famously said that he did philosophy “with a hammer”; indeed, a hammer can destroy and tear down, but it is also used to construct, to create, to build. To put it differently: asking “what is truth?” can end a conversation; what it really does, however is create a new one. Questioning is what the liberal arts are all about, from the ancient Greeks to the postmodernists. We need to change the conversation about liberal arts. This cannot be done, as many believe, by finding a unifying principle such as justice, or preserving some sort of traditional model for our disciplines. We must continue to live in our society and engage with it as previous thinkers, politicians, academics, and artists have done. This website is an excellent example of the liberal arts in the twenty-first century. Changing the conversation about liberal arts means taking the liberal arts’ timeless, universal, and central function – asking questions – and applying it to today’s new forms of education. It means creating new ways of seeing humanity. It means that university professors can no longer ignore the massive changes that the Internet and technology have wrought in our societies. It means that the question of employment and “usefulness” of a B.A. must be dealt with seriously, not simply ignored as “capitalistic” or besides the point. We must make sure that the intrinsic value of questioning is not forgotten in the deafening cacophony of media and popular discourse that insists that we are in a crisis. We must not allow discursive nonsense that disenfranchises our purpose as liberal arts graduates and creative/critical thinkers go unanswered. The liberal arts still have much work to do in this respect. There is one final and much more important question that should be considered seriously: is the “liberal arts crisis” real? Perhaps the fact that we view our disciplines with such criticism, and that we are on the agenda of many major universities, shows that we are doing our jobs. Perhaps there is no crisis in liberal arts education except for the one that we have created ourselves. What are the “liberal arts”? Kudos to Chris Berger for questioning them – we should all continue to do so.